All hail this chic pleated skirt. The fully lined design is made from drapey viscose with a silky sateen finish that feels super soft and looks luxurious. 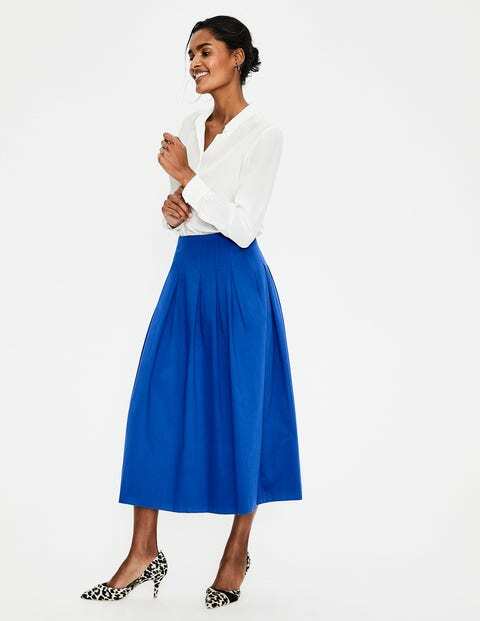 Box pleats on the front and back create a romantic, full shape, while pockets hidden in the side seams make it practical enough for everyday wear.